Investors who are not directly exposed to the market or not able to take disciplinary action for stock investment, SIPs provide a smart way to grow wealth. Systematic Investment Plans (SIPs) is just a disciplined way of investing in mutual funds . Investments made are flexible and can be as low as Rs 500 over a timeline of days, weeks, months or years. "SIP works like your recurring deposit where one needs to put certain amount every month. Instead of making a lump sum investment, you choose to make small investment in that Mutual Fund where the performance and returns are better." He also adds that these investments managed by a fund manager who had adequate knowledge in this sphere. "The beauty of SIP is you buy units at every level of the market," says Abnish, which means an investor can buy at high as well as lower levels averaging buying price to an optimal one, thereby increasing your rate of return over time. With a positive market rally backed by strong fundamentals such as the GST rollout, stable government, good monsoon forecast supported by benchmark indices touching new highs, equity markets are poised to give better returns. "We advise equity investment is the suitable choice," says Abnish as well. The Tata Equity PE Fund plan is a part of the Tata fund family classified as diversified equity. The fund has an asset worth of Rs 1,137 crore as on April 30, 2017 with a growth price of Rs 126.48, according to Value Research. 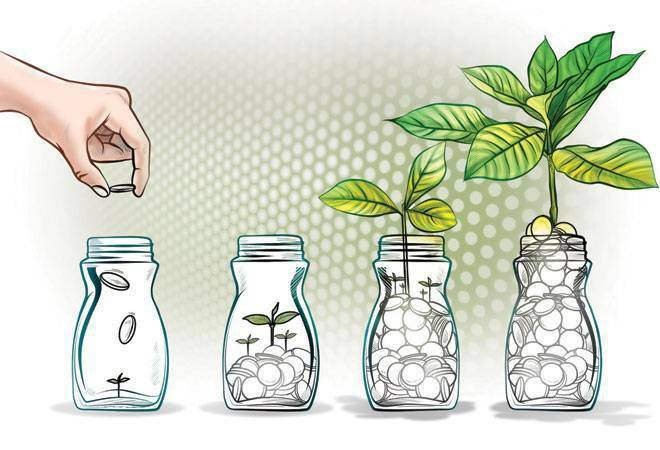 In terms of returns, the mutual fund gives 1.9 per cent in 1 month, 10.8 per cent in 3 months and 23.3 per cent in 6 months. However, the scheme yields its highest returns of 46.2 per cent when invested for a period of 1 year. The minimum investment required is Rs 5,000. It has a 95.5 per cent equity asset allocation with a majority holding by YES Bank and Power Grid Corp.
Mirae Asset Emerging Bluechip Fund is a five star rated plan by Value research. With assets worth Rs 3,769 crore, this scheme is categorised under Equity Mid cap. According to Value research, the fund has a turnover of 89 per cent with a high return rate and a low risk grade. Listed in Nifty Free Float Midcap 100 benchmark, its returns since launch have stood at 31.71 per cent. It has a 98 per cent equity asset allocation with a heavy banking and finance asset allocation. In fact, the top three holdings are of Federal Bank, Induslnd Bank and Kotak Mahindra. Another five star rated scheme by Value Research is Canara Robeco. The fund gives a 3.6 per cent return in 1 month, 16.6 per cent in 3 months and 31 per cent in 6 months. When invested for a period of one year, the fund is expected to 41.2 per cent. The asset holding of this scheme is led by auto components maker Minda Industries Ltd and chemical conglomerate Atul Ltd.
Belonging to the Reliance Mutual Fund family, this scheme is a equity large cap category one. The fund gives a 49,20 per cent returns when invested in a period of one year. Branded as a growth plan strategy, its requires a minimum investment of Rs 5,000. Its asset worth according to Value Research is 7,493 crore as on April 30, 2017. The plan has a 99 per cent equity asset allocation with oil and gas intensive holdings of companies such as ONGC, IOC and GAIL. A five star rated scheme by Value Research belonging to the JM Financial Mutual Fund family, JM Multi Strategy Fund is of a Large cap class one. According to Moneycontrol Rank within 134 Large Cap Schemes, this one is ranked number one in terms of a one year return rate of 43.2 per cent. Managed by Sanjay Chhabaria, this growth investment plan requires a minimum investment of Rs 5,000. The fund has assets worth Rs 139 crore. The scheme has 95.82 per cent share of equity allocation with a 28 per cent holding by the Banking and Finance sector led by Bajaj Finance whose value is 11.49 crore.